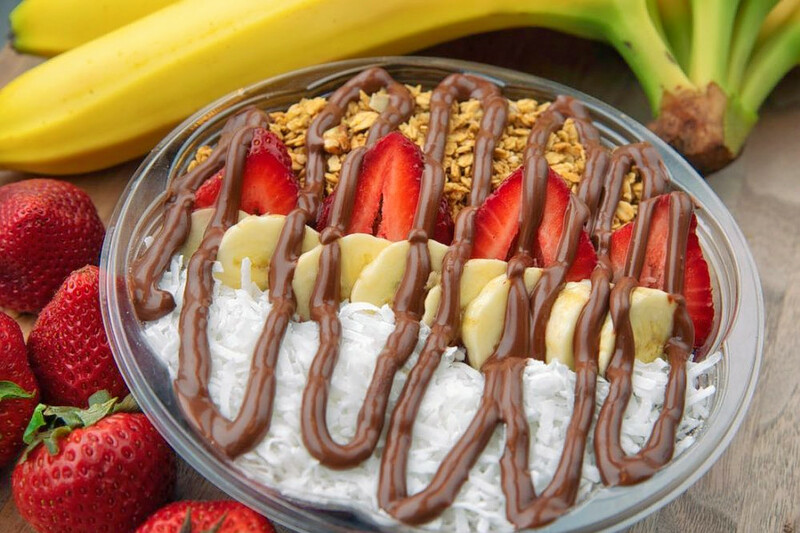 Nothing beats acai bowls -- and if you're in the mood to enjoy them in New York City, we've found a lineup of places that will excite your appetite. Here are the newest places to check out the next time you're in the mood for a bowl packed with the South American superfood. 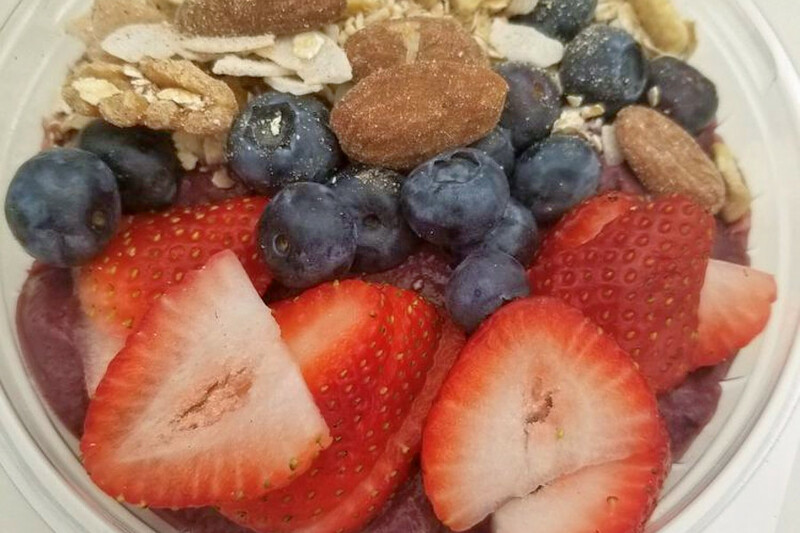 Agavi Organic Juice Bar is serving up cold-pressed juices, vegan soups and acai and pitaya bowls. It has another location in the East Village. Choose between a handful of muffins, smoothies and bowls like the Lil' Greeny with organic acai, banana, kale, housemade almond milk, chia seeds and gluten-free granola. If you're feeling under the weather, try the Hangover Bae juice with lemon, lime, mint, ginger, raw agave and filtered water. With a five-star Yelp rating out of five reviews, Agavi Organic Juice Bar has been getting positive attention. Esmeralda K. wrote, "The juices are so delicious, my mouth is watering just thinking about them! They are organic and made fresh daily!" Lyfeping Tribeca Juice and Smoothie Station offers smoothies made with organic ingredients, acai bowls, energy bits and juice shots. While Lyfeping's menu is small, everything is made in-house and is highly customizable. 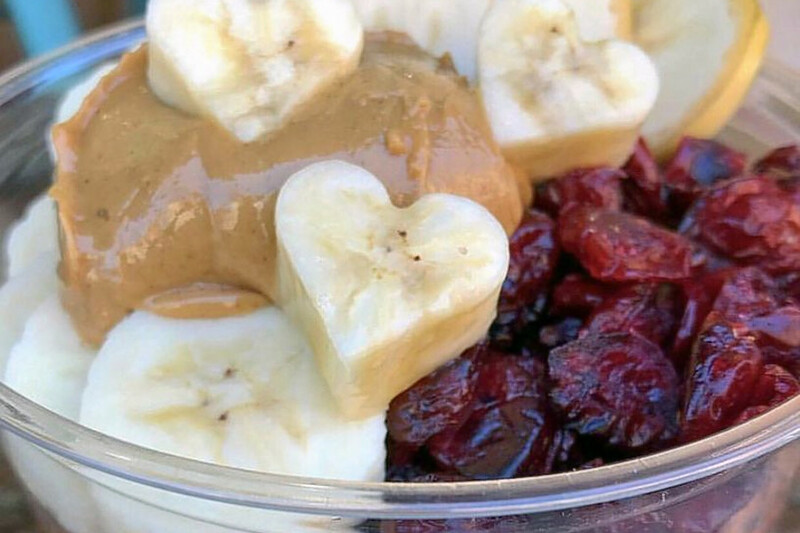 Choose between three acai bowls, smoothies like Beet It with beets, cherries, strawberries, banana, almond butter and almond milk or the Carrot Cake Energy Bites with carrots, walnuts, coconut, dates, cinnamon, ginger and quick oats. Yelpers are excited about Lyfeping Tribeca Juice and Smoothie Station, which currently holds five stars out of 11 reviews on the site. 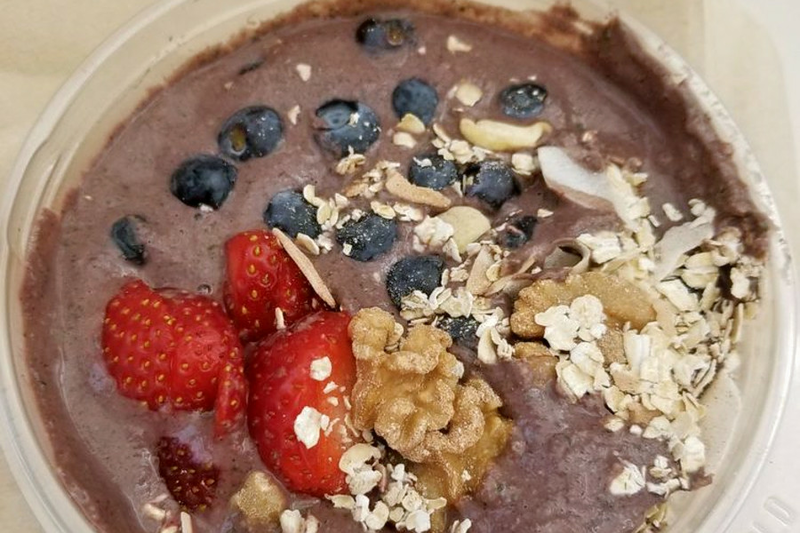 Yelper Dana S. wrote, "The fruit is fresh and the acai itself is frozen instead of room temp like I've had at other places." "This is my new go-to juice/smoothie place in the area. Their energy bites are phenomenal as well," added Sadie V.
Lyfeping Tribeca Juice and Smoothie Station is open from 7 a.m.-8 p.m. on weekdays and 11 a.m.-6 p.m. on weekends. Local mini-chain Baya Bar recently opened the doors to its newest Staten Island eatery. It offers a large selection of juices and smoothies as well as acai, pitaya, kale and coconut bowls. Try the Kaleifornia bowl with pineapple, kiwi, blueberry, coconut shavings, granola and honey. Baya Bar also features a seasonal organic soup depending on the daily selection. The new spot currently holds four stars out of 13 reviews on Yelp, indicating good reviews. "Love this place, it always has the freshest ingredients! The staff is friendly, the place is clean and run professionally," noted Brian L. on Yelp. Yelper Caroline H. wrote, "I could eat the Bella Nutella bowl everyday. Never had a bad experience at Baya Bar. I wish more would open up around the island." Baya Bar is open from 10 a.m.-8 p.m. daily.